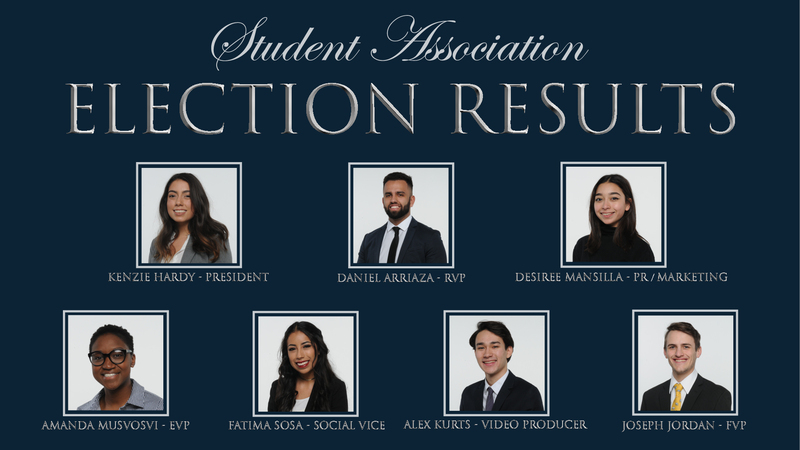 This week PUC elected a new group of student leaders for next school year to serve on the Student Association. Congratulations to each of them! We can’t wait to see the exciting things you accomplish next year. We also wanted to take the time to briefly explain the various positions and what they do for the student body. 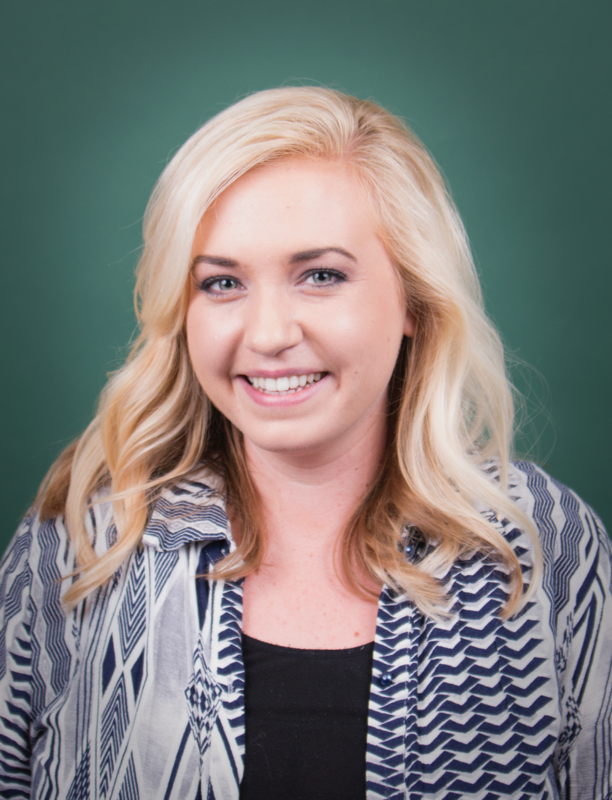 Kenzie Hardy was elected as SA president. The leader of the SA team, this position acts as the liaison between the student body and the college’s administration. The president sets the tone for the year and supports the team in their duties, facilitating help and ideas when needed. The president is also responsible for several events each year, including one Colloquy service per quarter and weekly SA team meetings. Amanda Musvosvi was elected as executive vice president. The executive vice president presides over all Student Senate meetings, following the school constitution and bylaws. 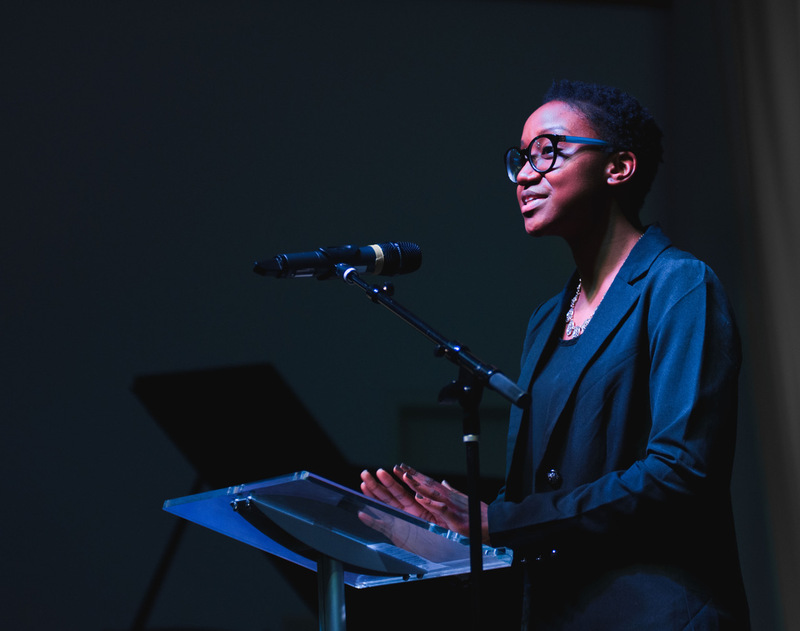 This critical role also oversees SA elections and serves as chair of the elections committee, and is responsible for holding quarterly town hall meetings to help keep the campus informed of Senate activities. The financial vice president position is the backbone of the financial structure of SA. This position regularly advises each officer and the Student Senate regarding SA budgets, preparing monthly budgets for each officer and advising them on their status. Daniel Arriaza was elected as religious vice president. An integral part of the spiritual life of the college, the religious vice president works directly with the campus chaplain to secure guest speakers for Friday night vespers programming. This role also works with student leaders and the PUC Church worship pastor to schedule praise and worship praise teams to perform for vespers, and is responsible for the weeks of prayer held in winter and spring quarters. 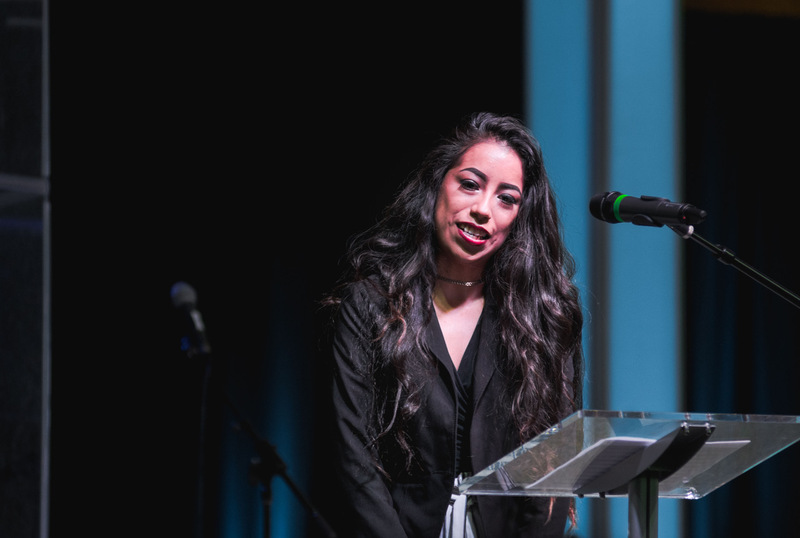 Fatima Sosa was elected as social vice president. 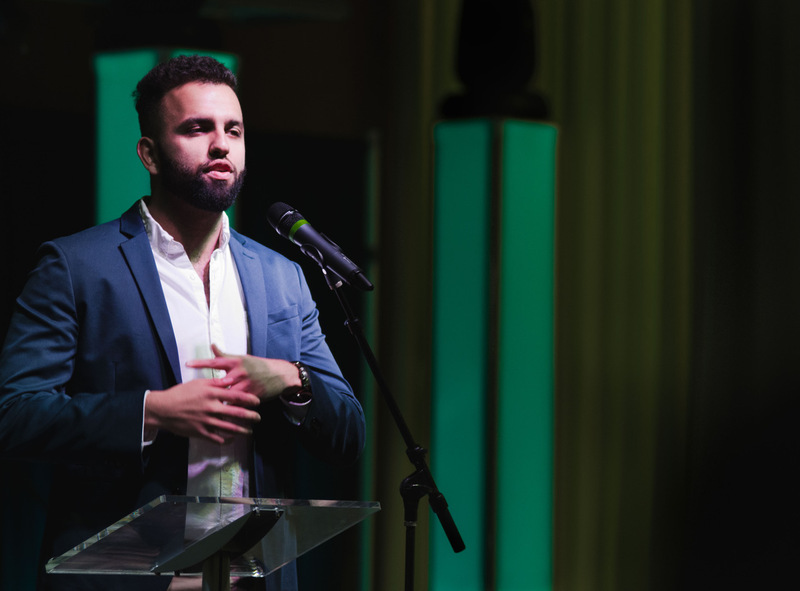 The social vice president position is responsible for scheduling and implementing a regular calendar of activities that encourage student participation, including larger events such as banquets and the annual Talent Show. This role also oversees a social committee and collaborates with campus club officers to help promote and provide opportunities for clubs. 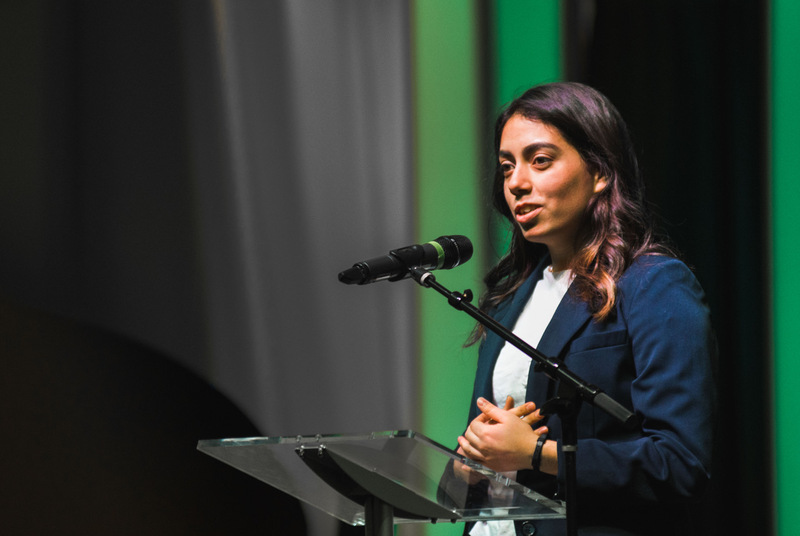 The social vice president also works closely with the director of student engagement and leadership to execute the fall “Week of WOW” events during the first week of school. The public relations and marketing vice president is responsible for running all SA social media accounts, including Facebook, Instagram, Twitter, and Snapchat, and promotion for each SA event, including posters and email graphics. This position hires photographers and videographers to create content for SA events and social media accounts, and assists other SA officers with marketing needs. The public relations and marketing vice president also designs the SA t-shirt for the year which coincides with the theme for the year. The Diogenes Lantern editor oversees the production of the school yearbook, which includes taking student, faculty, and staff portraits, as well as hiring staff to assist with design and layout and generating outside advertising income. The Campus Chronicle editor is responsible for creating and publishing 16 issues of the newspaper each year, which includes writing content and hiring staff to assist with layout, photography, writing, and editing. The video producer creates a minimum of four short films each quarter that highlight SA events and campus activities and culture, which includes hiring necessary staff to meet production goals and producing at least one creative short film project in conjunction with the Group Production class. 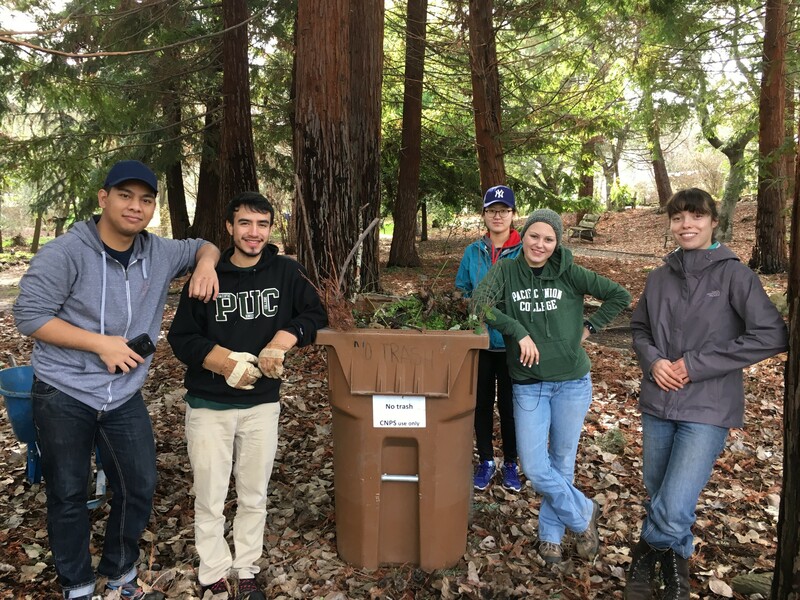 PUC is blessed with a campus full of service minded students who actively participate in the college’s service-learning program. 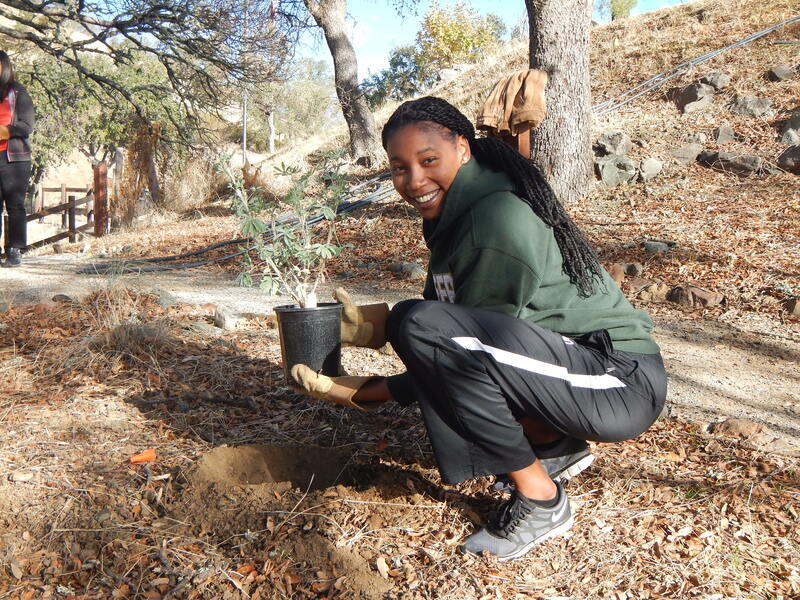 The goal of the program is to deepen students’ understanding of the academic material they learn in the classroom by applying their learning to real life. 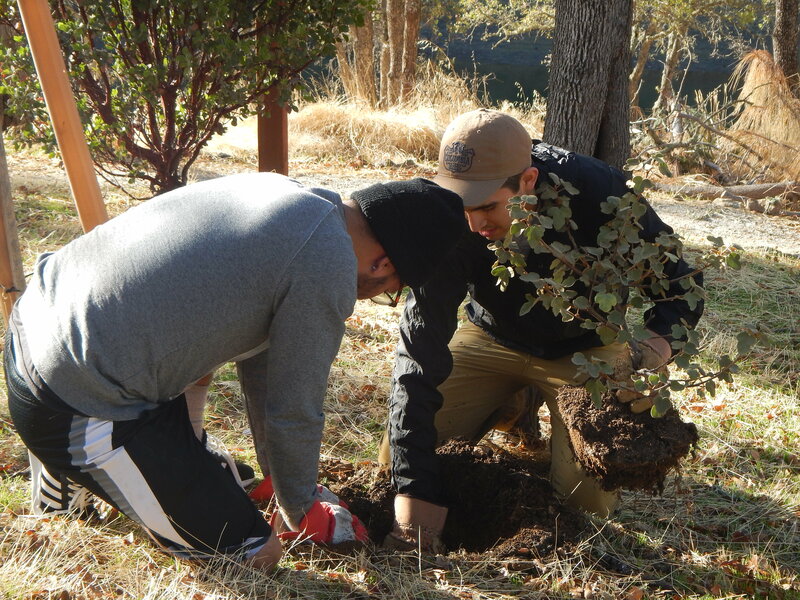 Students develop collaborative relationships with community groups such as the Veterans Home of California – Yountville, the Napa County Land Trust, the Lake County Continuum of Care, the Berryessa Bureau of Reclamation, and the Boys and Girls Club in St. Helena. Students’ critical thinking skills are enhanced through the practical application of skills and theories learned in the classroom. 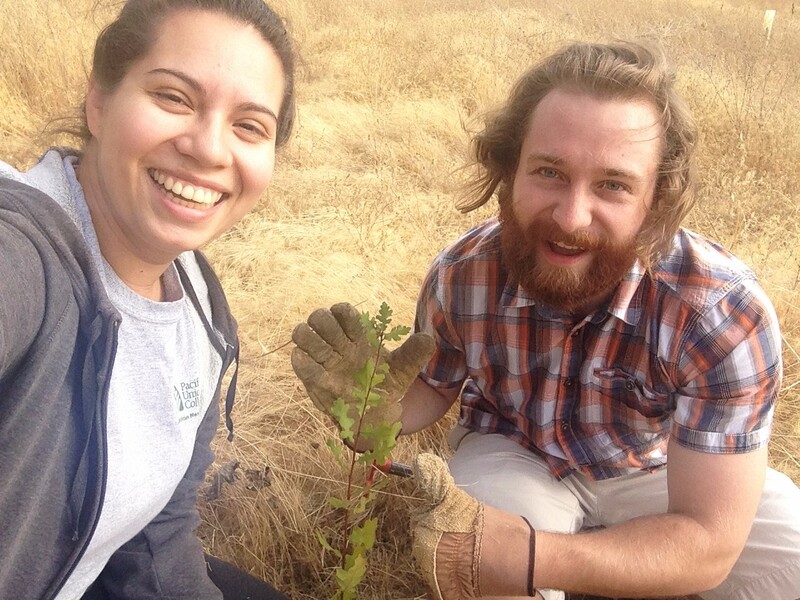 Though their values and beliefs may be challenged by engagement in their community, PUC’s faculty and staff remain committed to supporting students’ spiritual development and encourage students to process their learning experiences through creative assignments such as group presentations, journaling questions, and classroom discussions. 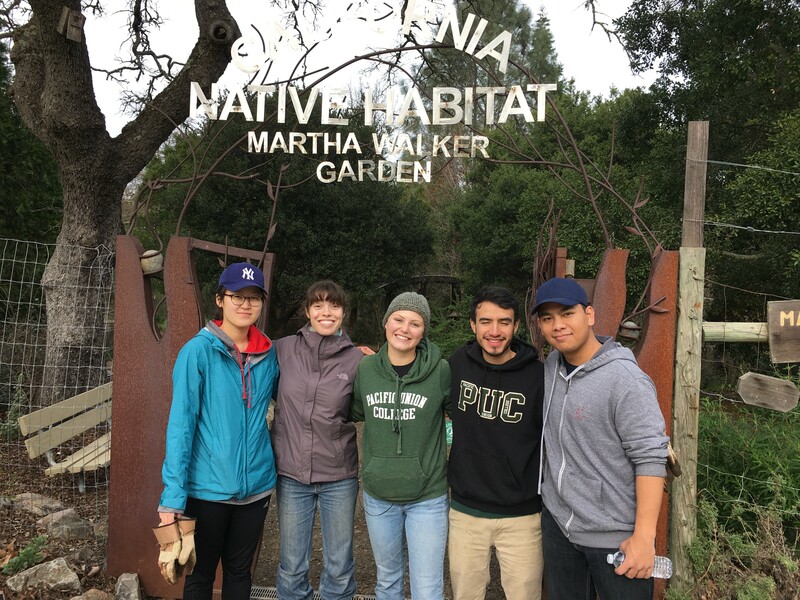 Here are just a few of the community outreach projects PUC students have participated in during recent months. 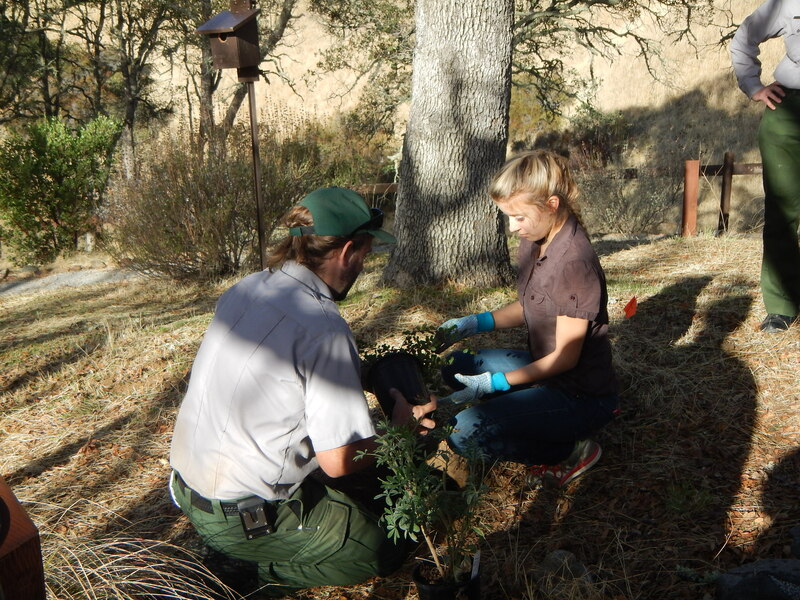 Students work at Lake Berryessa to plant native blue oak trees around the visitor’s center. 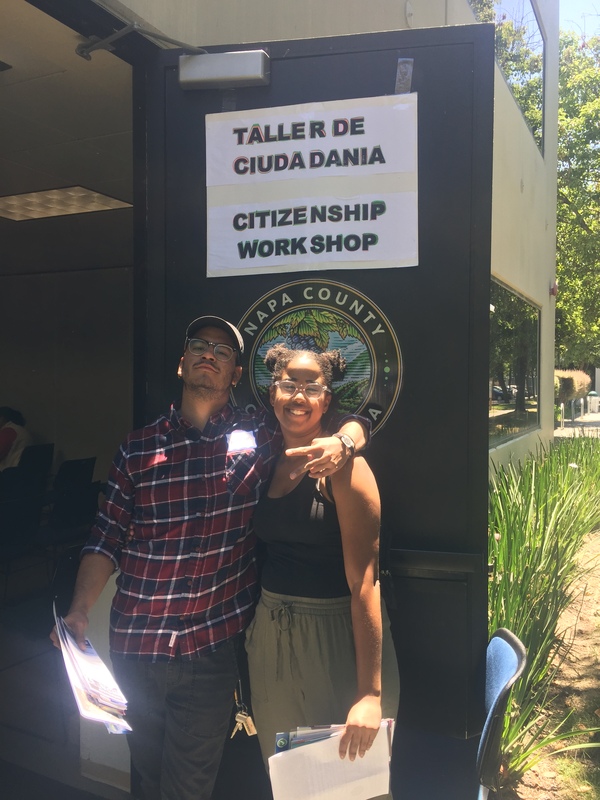 Psychology and social work students are trained by coordinators and attorneys from the Citizenship Legal Service partnership to help residents with green cards apply for citizenship. 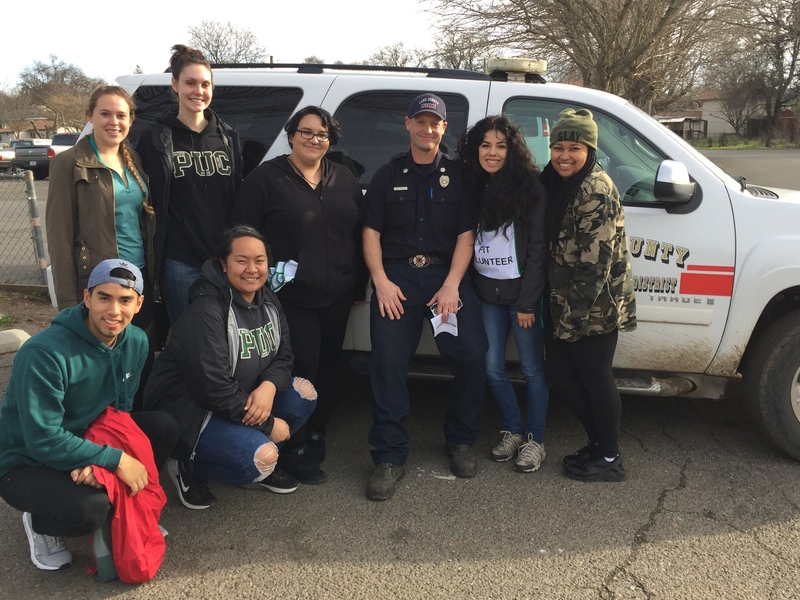 Approximately 50 students have been trained in an effort to help staff the monthly workshops held throughout the Napa Valley. 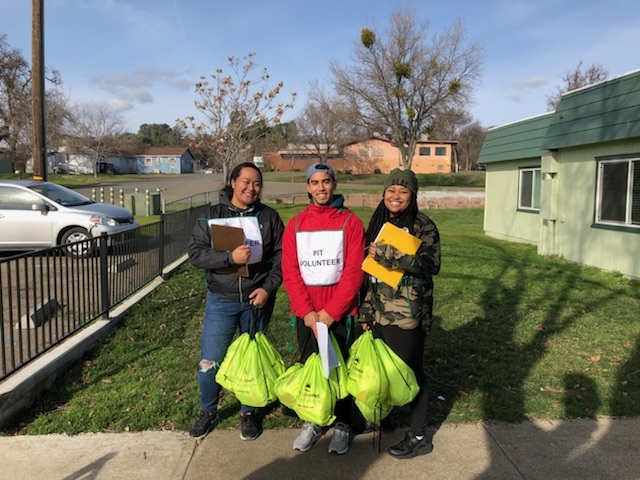 Each year, Napa’s MLK Monday Coalition puts together activities, volunteer options, and discussion groups in a day of “action and compassion” throughout the Napa Valley. 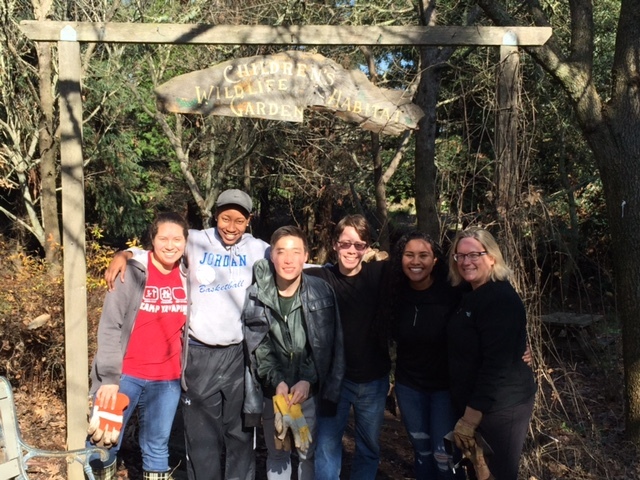 Students from a variety of courses dialogue about MLK’s letter from Birmingham jail, view documentaries relevant to coursework and participate in discussions, and help clean up the Martha Walker Native Habitat Garden. 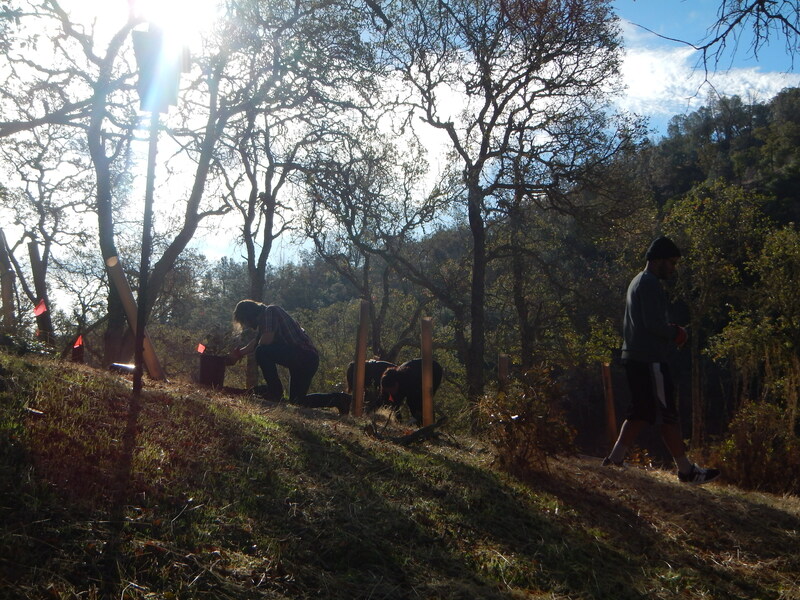 Students from Conservation Biology courses put their knowledge to use clearing invasive species from around valley oak saplings, enabling them to thrive in beautiful Pope Valley. 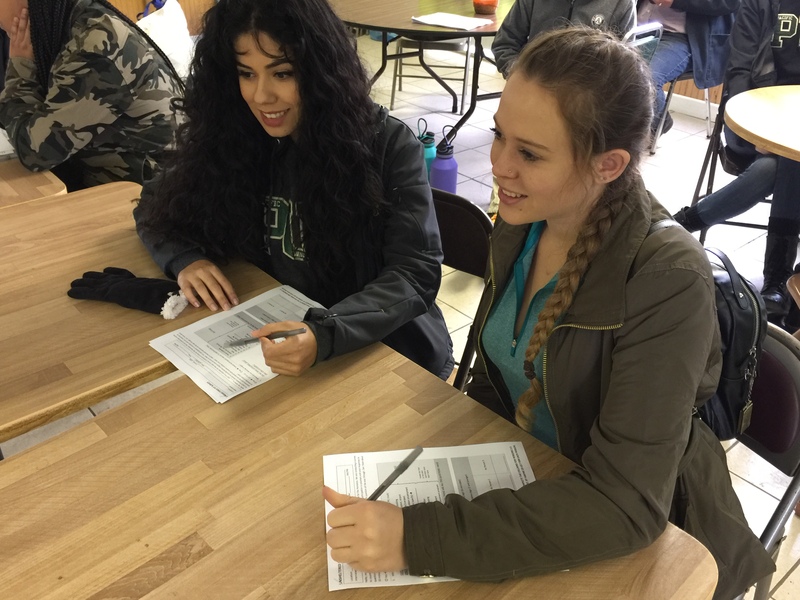 Students from Statistical Methods learn about the faces behind the numbers when they administer the Housing and Urban Development (HUD) survey to people experiencing homelessness. 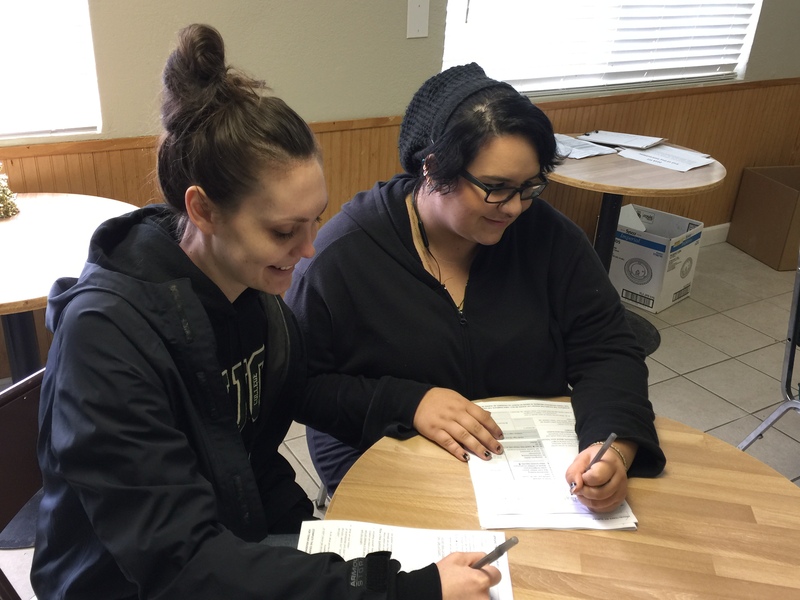 Human Behavior and the Social Environment students learn about causes and effects of homelessness while they practice administering an assessment to clients. 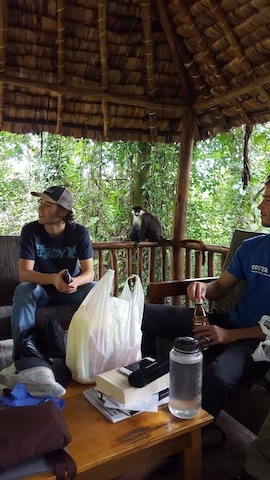 It all started as an ordinary trip to Uganda—that is if you consider moving halfway across the globe to be a student missionary for three months “ordinary.” I used to believe when I was accomplished enough—like when I became more self-sacrificing or developed a skill in medicine, dentistry, or law—then, God could use me. Well, I now know after three months of missionary time my preconceived notions of “helping others” couldn’t be further from the truth. God doesn’t need great people to do great things. He only needs people who are willing to say “yes” and take a leap of faith—something I think people like Abraham, Moses, and many other missionaries realized very quickly. I left on September 26, 2017, with fellow PUC pioneers Tom and Mick Borecky and later, my friend Sadie Valentine as volunteers for the Kellerman Foundation. 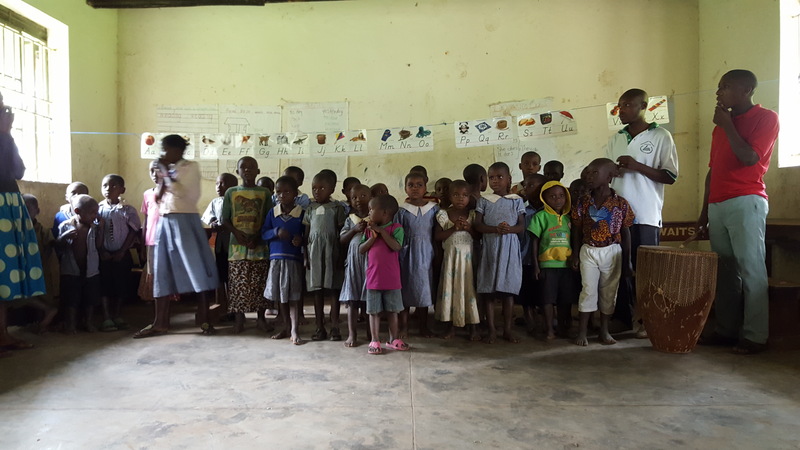 Originally founded by Dr. Scott Kellerman, the foundation was created to help the Pygmy people in Buhoma, Uganda, who were displaced from their indigenous home in the National Bwindi Impenetrable Forest. 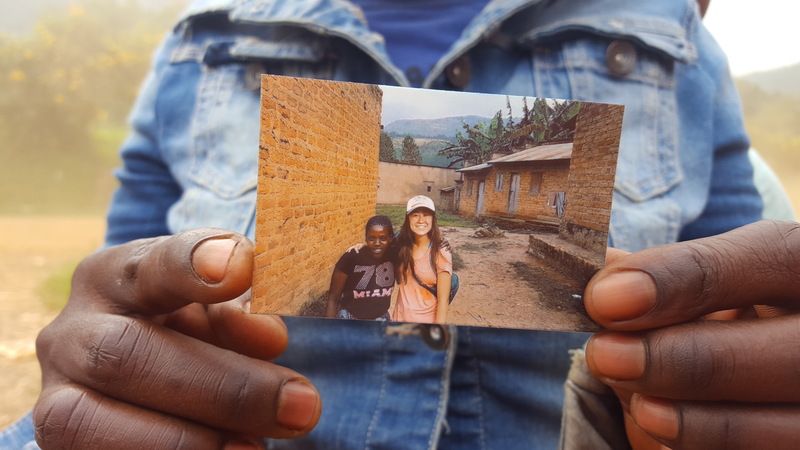 Coming to Uganda was a leap of faith because we knew we were called to work with the Kellerman Foundation, but initially, we had no idea what we were going to do. 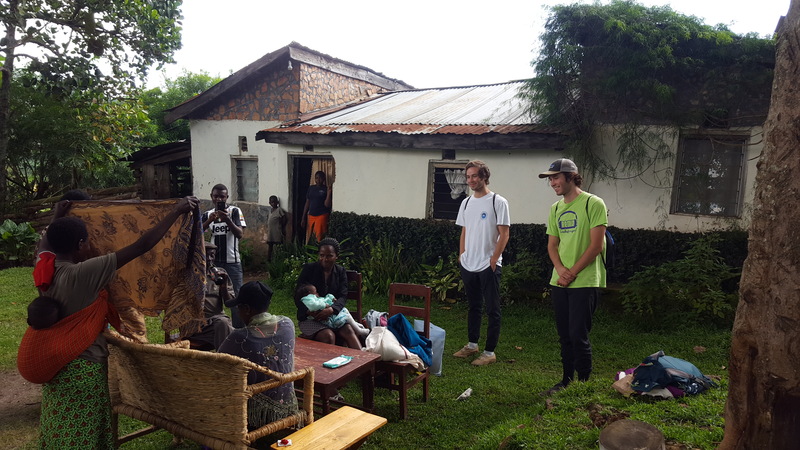 The only job we set up was to build two simple structures: 1) a banda, which is a community center that also functions to collects rainwater; and 2) a Pygmy house made by mudding bamboo frames. In fact, until we were invited to join research projects by Dr. Kellerman and Dr. Jean Creasey, a dentist in Nevada City, this was all we had set up to do for three entire months. 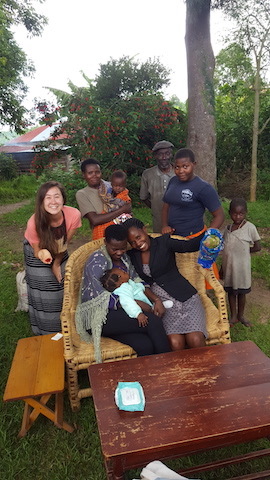 What I expected out of this missionary experience was to connect with the locals, to help others, and to grow and change because of it. All of those things turned out to be true—and to an even greater degree than I expected. But what I didn’t expect? Generosity, friendship, and warmth like you wouldn’t believe. Downtime, and lots of it. Emotional breakdowns. Success not according to accomplishments and achievements, but according to relationships. Sobbing after listening to Christmas music because I missed home. Things not going to plan. The emotional toll of being constantly watched by everyone because you are a mazoongu or “foreigner” in the local language of Rukiga. And most of all, the feeling of helplessness from witnessing some of the poorest people on earth. I don’t think any amount of National Geographic pictures could have prepared me for the heartbreak of seeing and meeting kids with bloated bellies from malnutrition or people dying from extremely curable diseases. We saw some of the poorest people in the world, and I still struggle with processing and dealing with that degree of poverty to this very day. But despite it all, these people are some of the happiest, most generous folks I have ever met. They invited us in time after time for the holidays or to share meals simply because we had become friends. 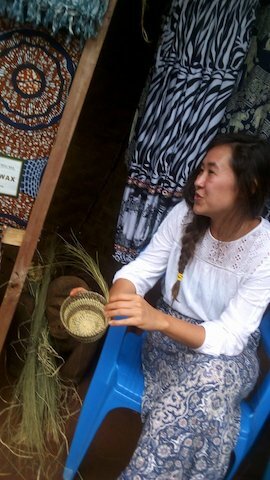 One of our friends Christine Twasiima (Rukiga for “we appreciate”), works in a tourist shop with mountain gorilla merchandise and crafts. She spent countless afternoons teaching me how to weave baskets. There we would weave with our grass piles and needles for hours at the door of her shop, either talking and laughing with the other shopkeepers or hiding inside from the tropical rain. For many of those afternoons, she shared her lunch of matooke (bananas made like mashed potatoes), beans, and sweet potatoes in a light sauce, telling me that all the locals purposely prepare more food than they need in case of hungry visitors or friends. And the people know everything about everyone. One day, when I decided to stay in for a day of resting, I thought nobody would even notice. Later, I found out that everyone was worried and asked Tom and Mick as they passed by if I was OK and why I wasn’t there. Christine even called me to check on me. What I love the most about the culture is it is relationship-oriented and there is no sense of time at all. People will sit around and talk to you for as long as you’ll let them because this culture is centered around relationships—not productivity. Another friend of ours named Gemma is the manager of a gorilla trekking lodge. We initially came to buy ice-cold sodas, but we ended up becoming instant friends when I asked her to teach me some Rukiga. 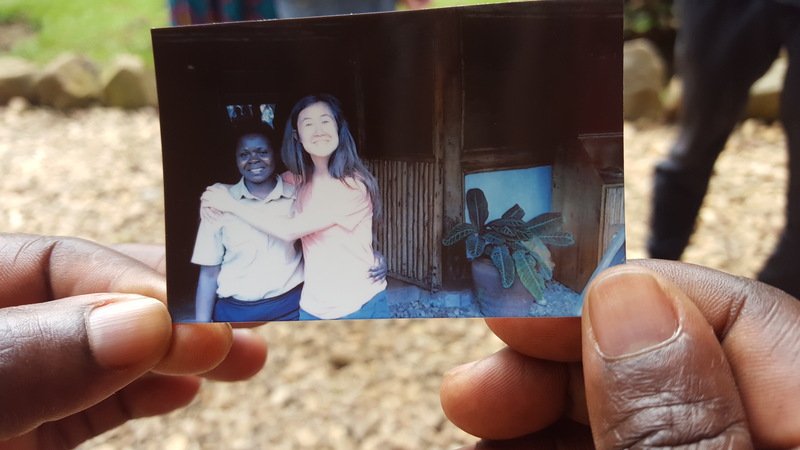 Two months later on her off-days, Gemma took us to her hometown via a 4-hour bus ride at 4 a.m. through windy mountain dirt roads (and lots of honking!). After escaping the clutches of death, however, we ended up having one of the best days of our entire trip. 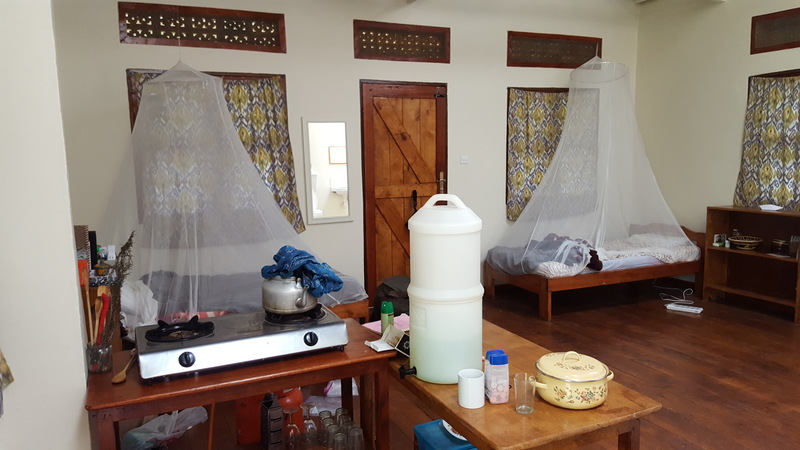 We visited Gemma’s house built from the ground up by her father, met the family—seven people were there, and this is not including the other siblings and their kids!—saw the family beekeeping houses, gardens, crops, flowers, forest, and the breathtaking mountain views. The air smelled of pine and a picnic was set out for us in front of the house that was cool and shaded as we ate the most amazing home-cooked meal of stew, greens, and potatoes—all cooked on a clay furnace with three holes and a single fire underneath. Our day ended with loads of gifts sent back with us: fresh honey from their beehives, sugar cane, mangoes, clay pots, and a gorgeous necklace. In my entire life, I have not experienced better hospitality than in Uganda. I talk so much about these experiences because really, besides the research and two days of helping to build the banda and the house, this was what we did. The research took a lot of time and effort to conduct, it’s true. 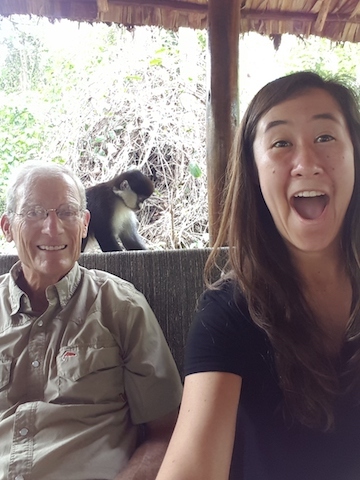 We spent many days going out into the communities and conducting focus group interviews and surveys or recording data at the hospital for our research. Additionally, I have grown much closer to my friends and family who were a fantastic support system as we worked through all of the struggles and hardships we encountered together. 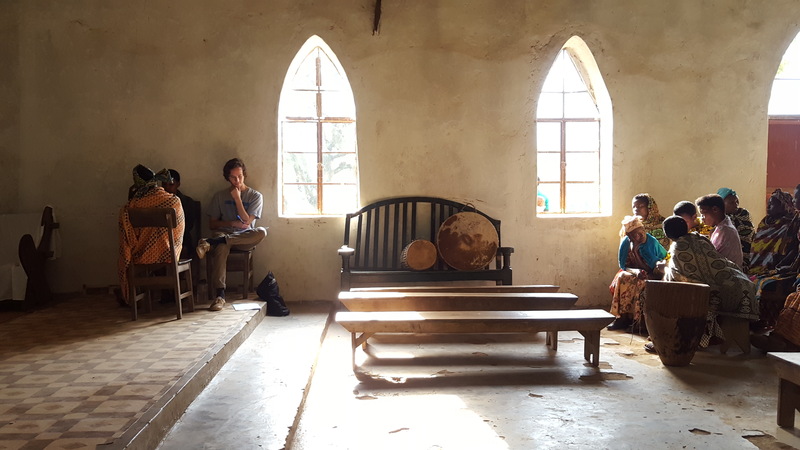 But sometimes, I ask myself: “Why did God bring us all the way to Uganda if what came out of it was personal growth, strengthened and new friendships, research, two structures, and the witnessing of terrible poverty?” The answer? I am unsure, but at the very least, I have a renewed commitment to helping and loving others as God calls. I believe God uses ordinary people who are willing to say “yes” to do great things, and even though I am unsure of what that entails from my time in Uganda, I trust what He has set into motion, nobody can stop. A panorama of our view. Dr. Kellerman and I with a new friend. A Polaroid of Gemma and I. Me making a basket in front of Christine’s shop. Mick (L) and Tom (R) talking at Gemma’s house. Me with guest house employee, Diana. Conducting a research surveys in a church. 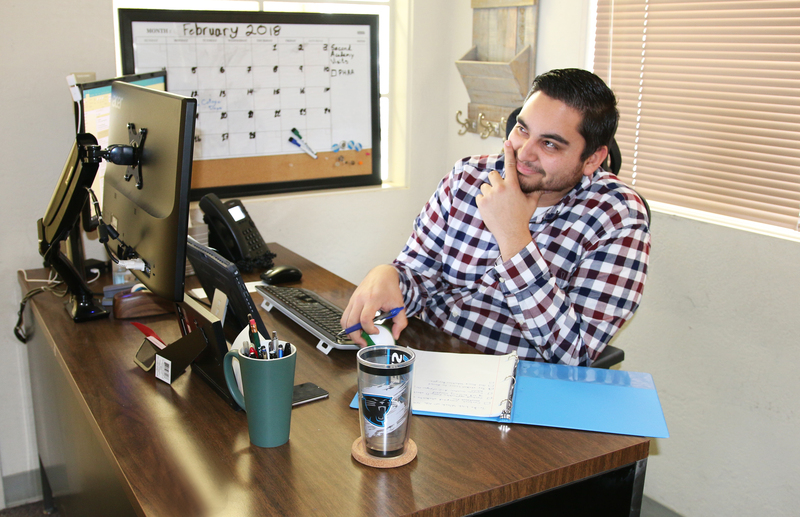 We have a great team of enrollment counselors here at PUC, ready to help you and your family with any questions you have, at any point throughout the admissions process. For the next few weeks, every Monday we’ll be introducing each one to you, to help you get to know them a little better. 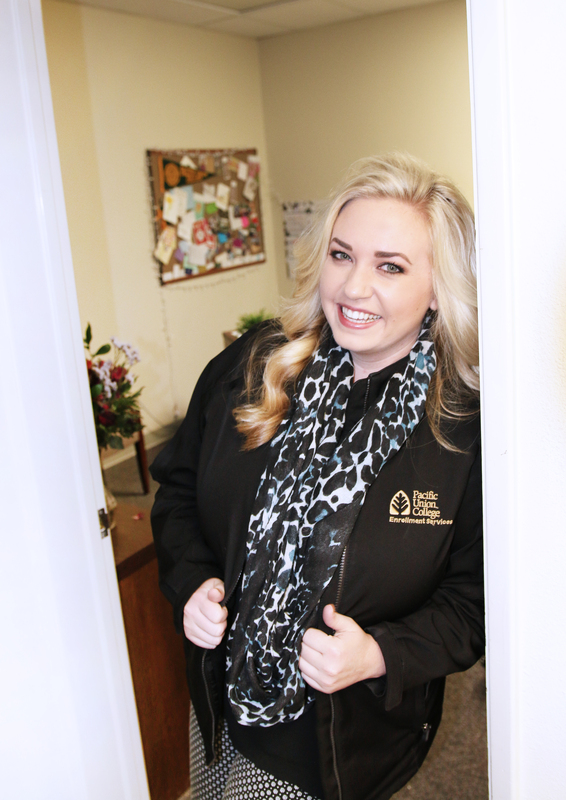 This week, meet counselor Janae Bowman! What made you decide to recruit for PUC? I experienced PUC. I was a student and saw all of the opportunities it gave me. Whether it was spiritually, academically, or just life tips. I had a fantastic experience and by recruiting for PUC I get to share what I love about it. Where is the most interesting place you’ve traveled for work? I would say the most interesting place I have travel for work is to Miami. It’s such a beautiful place with amazing food! What is the most rewarding thing about recruiting? When I bump into my students that I have recruited and they tell me about how they love PUC! I love hearing all the stories and fun experiences they have! If you were choosing a movie to be shown at New Student Orientation, what would you pick? Why? 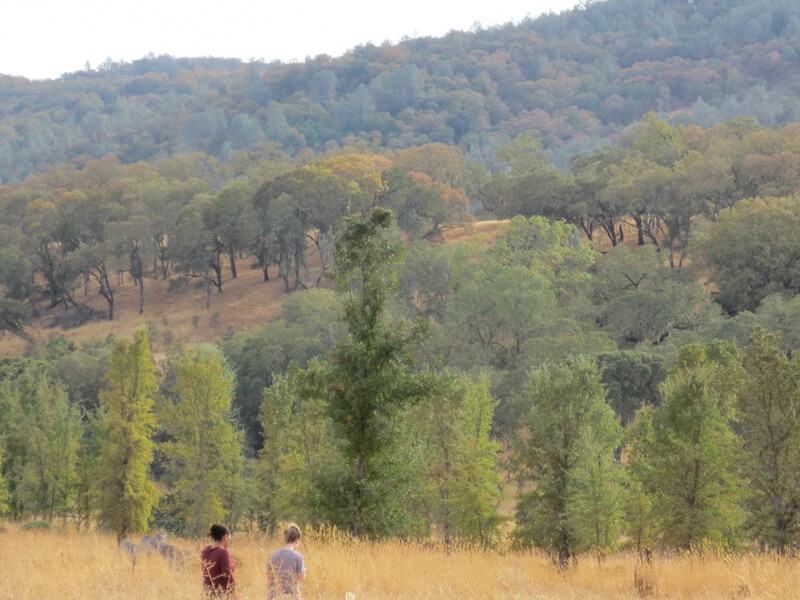 “The Parent Trap” (1998) because part of it was filmed in the Napa Valley! What is your favorite part about living here? I’m so lucky to call this place home. I feel like it’s a community where you know everyone. There is always something to do; whether it’s going to the beach or San Francisco for the day or staying local and hiking or trying out one of the local restaurants. What is your favorite spot on campus? My favorite spot on campus is right outside the Campus Center. When it’s sunny outside it such a nice area to grab lunch and soak up some sun. What is your favorite place to eat in the valley? That changes monthly … but I guess this month it would be Bistro Jeanty. They have an amazing tomato soup! What is the last book you read? I’m currently in graduate school so it would be my last class textbook, which was a book on operations management. What’s one thing you would like to accomplish in 2018? I’ve started something called the two-minute rule. So any action that can be carried out in two minutes or less is completed right away. I want to accomplish a full year of doing this to help to maximize my time and help with procrastination. What advice would you give to an incoming freshman? Get involved and enjoy every moment! This is a place where you make lifelong friends and memories. This week’s #FacultyFriday introduces us to Dr. Maria Rankin-Brown, who joined the department of English in 2006 and now serves as department chair. She specializes in composition studies, rhetoric, sociolinguistics, multicultural studies, non-Western literature, and creative writing. 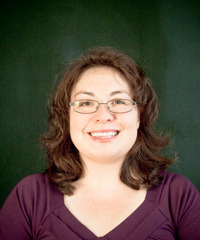 Prior to teaching at PUC, she taught at several institutions, including the University of the Pacific, Southern Utah University, Dalton State College, Chattanooga State Technical Community College, Mesa State College, and California State University, Chico. We are blessed to have Dr. Rankin-Brown’s energy and creative wit on our campus. Editor’s note: Since Dr. Rankin-Brown’s professional activities are extensive, we have listed only a few of her most recent accomplishments. “’Sin’ of Adulthood’ and ‘Ministerial Cramps’ Are all in My Day’s Work,” Adventist Review. November, 2014. Print. “Finding our Humanity in Paranormal Literature.” Popular Culture Review, Winter 2013. “The Function of Japanese Manga to Shape and Reflect Japanese Identity.” Japan Studies Review, 2012. Northern California Conference Academy Teacher In-service, “What to Expect from College Composition” and “Don’t Do It All: Using Rubrics to Teach Writing.” January 30-31, 2017. California Association of Teachers of English. Co-presenter with Georgina Hill. “Don’t Do It All: Responding to Student Writing.” Santa Clara, California. February 17-19, 2017. Adventist English Association. Co-presenter with Georgina Hill. “Worthwhile and Reliable Assessment in the First-Year Writing Sequence,” June, 2016, Keene, Texas. 2007-2009; 2008-2009; 2010-2011; 2013-2014; 2017-2018: Pacific Union College: Herber Grant awarded to conduct research on Japanese literature and rhetorical behaviors and the African diaspora and the ways in which it is represented in museums. Conference submission reviewer. Sigma Tau Delta National English Honor Society – 2009-current. Article reviewer, Adventist Journal of Education, reviewed article on plagiarism, January 2012. What made you decide to be a teacher? I’m a big nerd and school is where I feel most at home. I was waiting to do my MA comprehensive exams in 1996 and was planning to be a professional mediator when the University of the Pacific needed me to cover their Conflict Management classes for a professor who was out on leave. Teaching both exhilarated and terrified me and I enjoyed that balance, and from there, I just stayed in school, where I continue to be exhilarated and terrified. What are some of your hobbies? It’s really hard for me to walk past a flowering plant without photographing it and posting it on Instagram. I spend a lot of time out in nature with my phone and camera while obsessively listening to audiobooks. What’s something people might be surprised to know about you? My father’s family emigrated from Europe to Zambia (Southern Africa) long before the United States was even a country. I became a U.S. citizen seven years after marrying my American husband. I’m still learning new things about what it means to be an American. What’s your favorite thing about PUC? I feel like I’m supposed to say the students, but I really love the biscuits and gravy in the caf on Fridays. Plus my colleagues are thoughtful, friendly, and supportive. They make working here a pleasure. What’s your favorite spot on campus? Outdoors: the Back 40; indoors: Stauffer Hall. “A Tale for the Time Being” by Ruth Ozeki and “To Kill a Mockingbird” by Harper Lee. It’s easy to allow yourself to stress about everything because everyone else is talking about how stressed they are and that energy is catching. If you’re here to learn and grow, allow yourself the time, the schedule, and the mindset to enjoy college instead of only being stressed. Interested in learning more about PUC’s English program? Visit puc.edu/admissions! 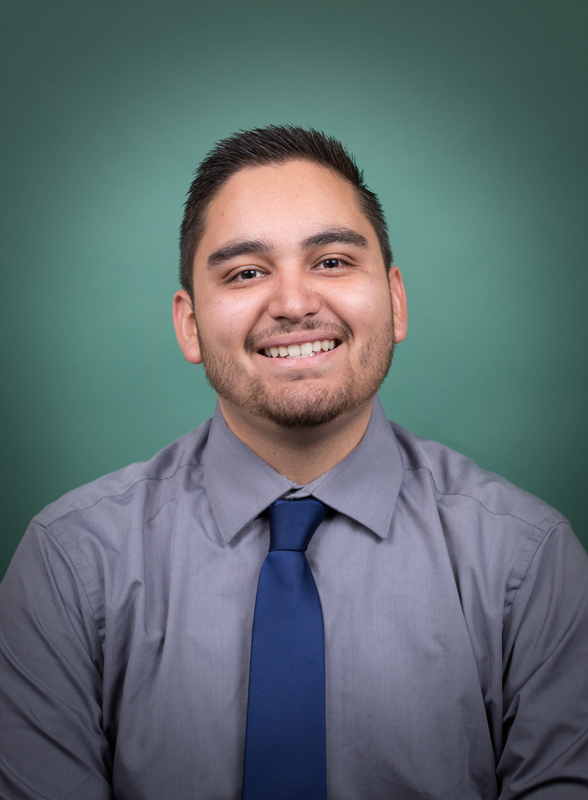 This week, meet counselor Chris Romero! I wanted to share my college experience with students. It was a crazy journey from beginning to end! Oklahoma, I was in the middle of nowhere. 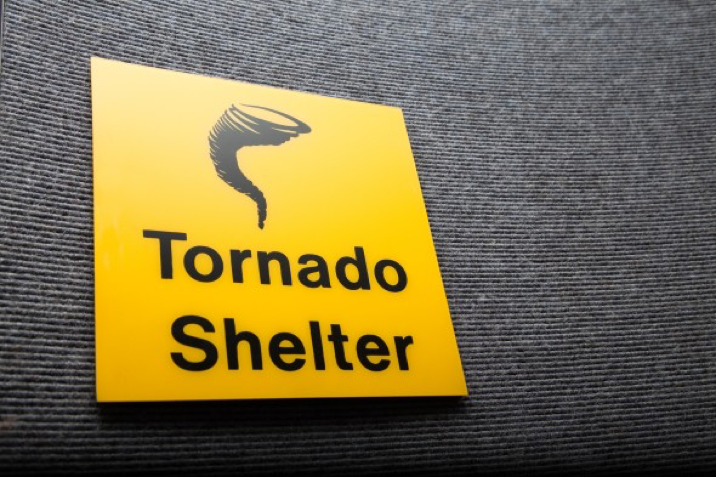 First time in “The Dust Bowl” and just at the airport alone it had signs for tornado warnings. I’m a SoCal guy so that freaked me out a little the first time I saw those signs. I am used to earthquakes, fires, riptides from the ocean while at the beach … stuff like that, not tornados! Disney’s “Hercules”—I can say because it shows the adversity of going from nothing to something, and how it can relate to a student going from freshman year to senior year and the growth of those years … But mostly because it’s my favorite movie! The trees and nature. I can’t count the amount of times I have walked out my door in the morning and was greeted by a couple of deer. Gillwoods Cafe in St. Helena for breakfast, Giugni’s for lunch, and Pizzeria Tra Vigne for dinner, and then pistachio macaroons from Bouchon Bakery in Yountville for dessert. Comic books count too right? “Flashpoint” by Geoff Johns & Andy Kubert. Travel around more of California! Go to more national parks, food joints, etc. Don’t be a hermit! Socialize with people! Devote one day (whether Sabbath or not) to not doing any homework or classwork. Eat breakfast! Changing your major isn’t the end of the world! Make an effort to contact family at least once a week even if it’s through texting. Enjoy your college experience, go bowling in Napa, watch movies in Santa Rosa, go on late night In and Out runs every once in a while. Most importantly though, do not and I repeat DO NOT try and do a 12-page paper at 3:00 a.m. the day the paper is due … trust me it doesn’t work. It’s time for another #FacultyFriday! 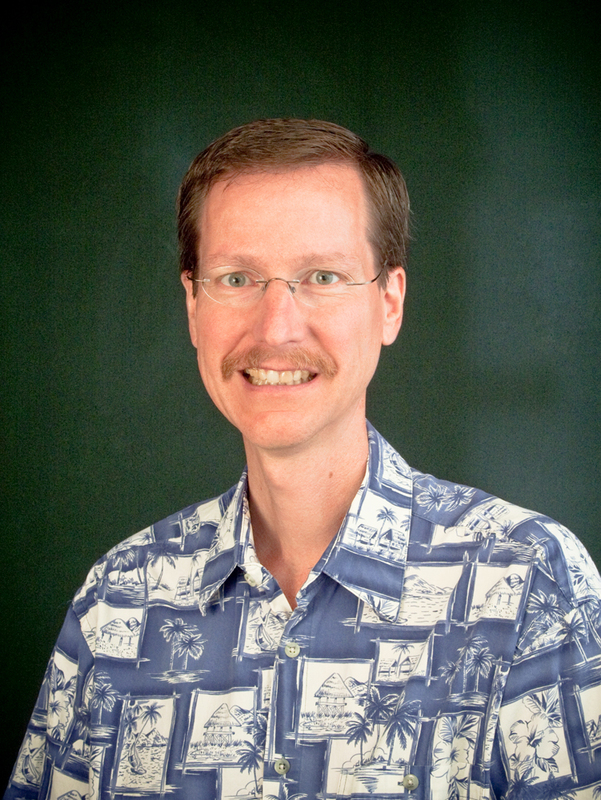 Meet Dr. Ross Winkle, professor of new testament and chair of the department of theology who has taught at PUC since 2005. He has a professional focus on the New Testament and has received several PUC Faculty Development Research and Honors awards, as well as two Herber Faculty Development Awards. He has also served as a student missionary in Tokyo, Japan, and as a pastor for 13 years in three successive church districts in Oregon. He is an ordained minister and occasionally leads adult Sabbath School discussions on campus and preaches in surrounding churches. Dr. Winkle has also had several pieces published in various publications and given a significant number of presentations at professional conferences around the world, including Edinburgh, Scotland; Izmir, Turkey; and Vienna, Austria. Editor’s note: Since Dr. Winkle’s professional activities are extensive, we have listed only a few of his most recent accomplishments. 1 Peter. Seventh-day Adventist International Bible Commentary (co-written [1 Peter 3-5] with Tom Shepard, Ph.D.). Nampa, ID: Pacific Press, forthcoming. “Navigating the Aqueous and Fluvial Imagery of the Liquid Temple.” In Sacred Space, Sacred Thread. Wipf & Stock, forthcoming, 2018. “Resistance Is Not Futile: Restraint as Cultic Action in 2 Thessalonians 2.” In Jewish Cult Identity: Constituents and Critique, eds. Henrietta Wiley and Christian Eberhart. Resources for Bible Study series. Atlanta: Society of Biblical Literature, 2017. “‘You Are What You Wear’: The Dress and Identity of Jesus as High Priest in John’s Apocalypse.” In Jewish Cult Identity: Constituents and Critique, eds. Henrietta Wiley and Christian Eberhart. Resources for Bible Study series. Atlanta: Society of Biblical Literature, 2017. “A River Flows From It: The ‘Sanctuary Doctrine’ and the Hydrological Ecclesiology of the Temple.” Spectrum 43/2 (2015): 8-15. “‘Clothes Make the (One Like a Son of) Man’: Dress Imagery in Revelation 1 as an Indicator of High Priestly Status.” Daniel and Revelation Symposium, Chico, CA. May 28, 2017. “(The) Speaking of the Altar: Animate Architecture in the Heavenly Temple in Rev 16:7.” Daniel and Revelation Symposium, Chico, CA. May 27, 2017. “Crystal Clear—The River Flowing from the Throne of God and of the Lamb as a Symbol of the Spirit.” Annual Meeting of the Adventist Theological Society on “The Triune God.” San Antonio, TX. November 19, 2016. “Navigating the Aqueous and Fluvial Imagery of the Liquid Temple.” “Sacred Space, Sacred Thread” Global Conference. University of Southern California. Los Angeles, CA. November 4, 2016. “Fluvial Fantasies? The Liquid Temple and the Spirit.” Plenary Session Presentation. North American Division Asian/Pacific Pastors Convention. Sacramento, CA. February 23, 2016. I first decided I wanted to teach Bible classes while I was in academy. I personally liked one of my Bible teachers there, but I felt the Bible class for the students was a disaster, and I thought I could do better. When I got to college, though, I decided I’d rather teach at the college level than at the academy level. My year as a student missionary in Tokyo while in college, teaching conversational English to Japanese students, helped solidify that desire. I like making freezer jams with interesting, fruity flavors (e.g., elephant heart plum, blackberry rhubarb, blackberry orange, blueberry peach raspberry, etc.). I like the fact that it is “in nature” and surrounded by lots of hiking trails. The water fountain in front of Paulin Hall—although I don’t spend a lot of time there! There’s too many to pick from! And they are “favorites” for different times of the year, different emotions, different experiences one is going through. But since you’re forcing me, I’ll pick one: Currently, one of my favorite religious songs is “Somewhere in Your Silent Night” by Casting Crowns. Try several “different” courses to see whether you might like that direction for a career; manage your time well; and read your email! Interested in learning more about PUC’s religion and theology programs? Visit puc.edu/admissions! Class Registration For Fall 2019 Has Started!